Nagpur, March 5: After losing the first match of the series, Australia will look to make a comeback and win the second match of the series. In the first match, they were not able to give a tough competition to the hosts and eventually they lost by six wickets. India is fine-tuning their plans in their last series before the World Cup - so much so that Virat Kohli said it was a good thing to be in a spot of bother at 99 for 4 - while Australia still has some key structural issues to address. 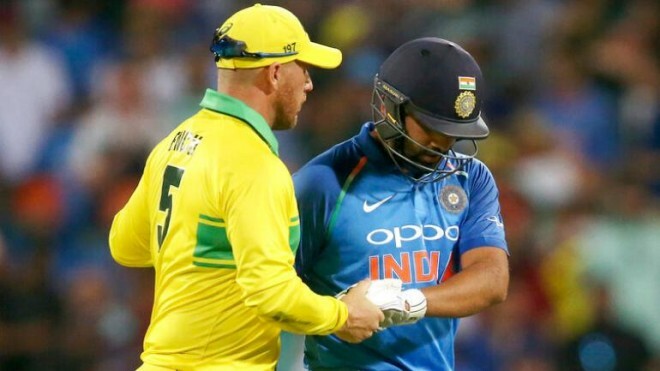 Although the surface in the opening match did not prove as easy for stroke play as may have been imagined, Australia still seem intent on the approach of laying a steady foundation in the Powerplay: after ten overs they were 38 for 1, and none of Usman Khawaja, Marcus Stoinis or Peter Handscomb finished with a strike rate over 70. The middle overs were dominated by India's spinners hustling through and batsmen unable to break free. Ravindra Jadeja's ten overs went for just 33 and Kedar Jadhav's right-arm slingers did a terrific job. Jadhav's seven overs were the bulk of the fifth-bowler allocation and that remains one of the areas India need to firm up before the World Cup. Vijay Shankar was a weak link in the attack, initially releasing the pressure applied by excellent new-ball spells, and does not appear the quality of a third seamer. One of the bright spots for Australia early in this tour has been the form of Nathan Coulter-Nile, who might be forcing his way into the World Cup squad with strong lower-order batting and splice-jarring bowling spells. He had a frustrating home summer and vented a little at the selectors after being left out of the one-day squad but he could yet find himself in the United Kingdom. India is favored to stick with their combination from the opening match, which would mean another chance for Shankar, but could switch around the spinners with Yuzvendra Chahal coming in for Kuldeep. Shaun Marsh, Australia's standout one-day batsman over the last nine months, took a full part in training after his late arrival on the tour and could return in place of Ashton Turner. That would likely mean the middle-order batsmen moving down a spot.